Looking for vast and beautiful scenery? Our Village Creek Landing kayak tour has got you covered! With a large number of small creeks along side Village Creek, we have many options to explore. 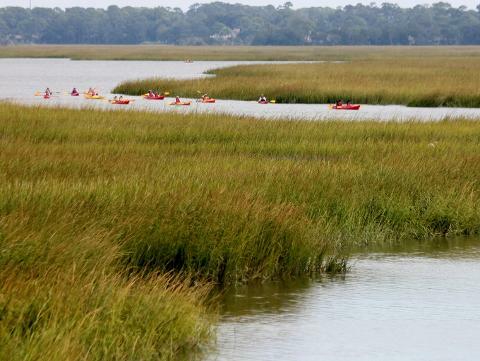 Perfect for first time paddlers and anyone who has yet to see the beauty of the Village Creek marshes! Don't see enough availability, call or email! We can usually add trips as needed. Discount for groups and children age 12 and under.